Mitel MiCloud Office - Electronic Communication Services, Inc. Break down the barriers of siloed team environments with robust collaboration tools that bring powerful productivity to desktops and mobile devices. With MiTeam, you can extend your team inside or outside company walls to bring remote workers, vendors, partners, and customers into the conversation. Access the same rich telephony and collaboration features you enjoy from your desktop anywhere, so you can seamlessly transition from the office to the airport, the golf course or your kids’ football practice. Available for iOS, Android and Windows devices. Capture every customer interaction, increase productivity, reduce response time and build better relationships in minutes when you connect MiCloud Office to your CRM system. This easy-to-install integration allows you to edit information directly from MiCloud Office to ensure records are updated timely and accurately. 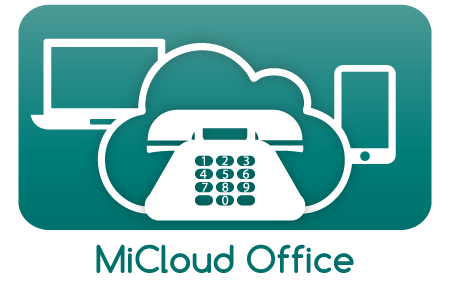 With MiCloud Office, you get a business phone system that just works, but for those of you interested in what’s under the hood, let’s break it down. The brains of the system reside in our geo-redundant data centers and continue to provide service even in the rare event one goes down. Information and voice calls securely traverse the public Internet to reach their final destination using voice over Internet protocols (VoIP). Employees enjoy the same communications functionality regardless of whether there are in an office, on the road, or working from home.